The importance of an appearance encourages the creation of various skin care products. In fact, almost all types of work are very concerned with appearance. From appearance, someone will respect you and judge that you value what you do. And the appearance is not only with good clothes, but also the skin and good attitude. Clean and healthy skin will make you look better. In addition, skin health is also very important for your body’s health. and it seems that everyone is aware of this and wants to keep their skin clean. Not only women who like to hunt skin care products, but also men. Men realize that their skin is the main factor that will make them look more handsome and neat. They are very caring about facial acne and excess oil. This makes many companies create male skin care. Not only beautiful women, Russia also has many handsome men. All Russian people are very concerned about their appearance. they are famous for their beauty and good fashion sense. We have discussed the secrets of flawless russian women. Then, what is the secret of the good skin of Russian men? So they look very handsome and authoritative. In this article, we will provide some skin care products that are used most often by Russian men to get good skin. You can try if you want to look handsome and have a flawless skin like them. Here are 3 most used skin care of Russian men. You must be familiar with this Russian cosmetics local brand, or even you have already tried it. Natura siberica is a local Russian cosmetics that has been sold almost all over the world. Natura Siberica is the most famous skin care brand from Russia. This brand was discovered by Andrei Turbnikov in 2008. In 2017, Natura Siberica has opened 70 own shops and sold their products in more than 40 countries. Very rapid development even though it only appeared in 2008. This brand is based in Moscow, Russia. The products of this brand are very popular because they are made from herbal ingredients such as vegetables and medicinal plants that grow in one of the most polluted areas in the world, Siberia. Herbal plants from Siberia have high antioxidants that are used for skin and hair care. Natura siberica not only produces women’s skin care, but also male skin care. And skin care products from this brand are one of the most frequently used skin care for Russian men. 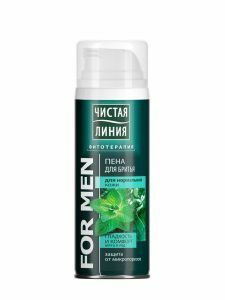 The most popular skin care for men from natura siberica is Natura Siberica Men Fury of The Tiger, a shampoo for the body and hair. Russian men love the appearance of thick fur. For facial care, a very popular product is face cleansing scrub, face cream, and face washing gel. All skin care products from this brand are wrapped in black packaging. This product from skin care has been proven to make the skin of men who use it smooth and healthy. Many Russian men also use Biovea to get healthy, bright and soft skin. Biovea is a product that is widely spread throughout the world. But the price of this product is quite high, balanced with its quality. If you want to buy it, it’s very easy to find it in stores in big malls. Biovea skin care products are also very complete compared to other brands. For those of you who want to look cool with a beard, Biovea also produces beard treatments. The most popular ones are Beard Balm, Beard Oil, and Iron Beard. You will look cooler, of course. And to have skin like Russian men, you can use the most popular products such as Ultra-Lift Night Treatment for 3,018 rubles and Daily Protection Sunscreen SPF 30 Moisturizing Treatment at 3,131 rubles. To get a more complete skin care product at a cheaper price, they offer Complete Skincare Set For Men at a price of 6,088 rubles and you have got a free Calming Relief Toner. If you use this product regularly, you will get healthy and glowing facial skin. Chistaya Liniya is a skin care brand that produces skin care for women and men. This brand produces complete skin care for men and a more affordable price. Sam, like most Russian cosmetics brands, Chistaya Liniya also uses herbal ingredients that are safe for you to use. This brand is one of the most widely used Russian men to get healthy and bright skin. Chistaya Liniya distinguishes products for boys and men. some popular products for boys are Pure Line “Ideal Skin” Anti-Acne Facial Cream to treat acne prone skin, Pure Line “Ideal Skin” Facial Gel + Scrub + Mask 3 in1, and Pure Line “Ideal Skin” Anti-Blackheads Face Lotion. This product is packaged in a dark green tube with Russian writing (chronicle alphabet). Special products for adult men are Pure Line for Men Shampoo-Shower Gel 3 in 1, shaving foam for normal and sensitive skin, and lotion after shave for sensitive skin. You will easily find the most suitable one. Because they differentiate products for boys and men, and for normal and sensitive skin. Besides hair care and skin care, Chistaya Linia also produces deodorants and beard treatments. Apparently, Russian men really like to have a beard, right? It turns out that men also have to look after their skin properly, not just women. Care must also be taken routinely to get perfect skin according to what you expect. And it turns out, the secret of flawless skin of Russian men is to use skin care products made from natural ingredients. If you go on a trip to Russia, you can buy one of the products from the 3 skin care brands above. You can use it without fear of allergies, because it uses natural, safe ingredients. That’s the 3 most used skin care of russian men. You can choose one as your new skin care if you want to have beautiful skin like a Russian man. however, you are not only doing maintenance from the outside. You also have to eat lots of vegetables and fruits to get maximum results. Hopefully this article helps you to perform better. Happy trying, men!